Flashback at Hill N Dale 9.26.17. The Paulick Report is pleased to present a popular photo/video feature that will run periodically over the next few weeks and will spotlight stallions standing in Kentucky. The series, put together by our friends at EquiSport Photos, will feature stallions that have either just entered stud in 2017, or stallions that have not yet had their first crop reach the racetrack. 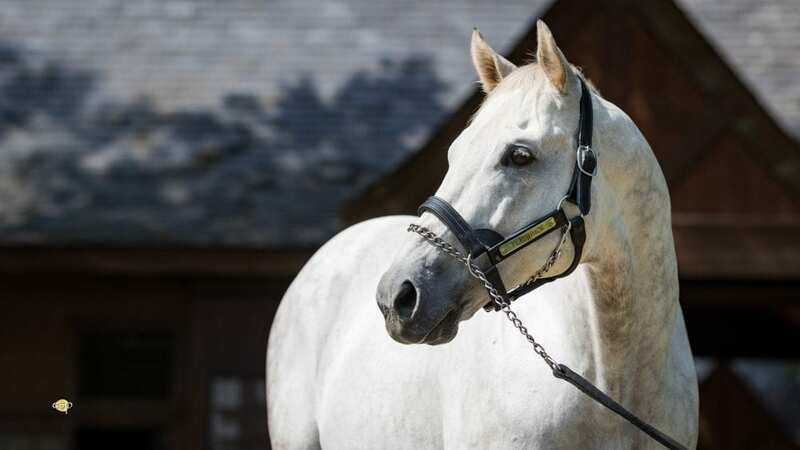 This week's spotlight stallion is Flashback, a 7-year-old son of Tapit that stands at Hill 'n' Dale Farms. Flashback made his racing debut at age two, breaking his maiden in his first start – a seven furlong event at Hollywood Park. The following season, Flashback was considered an early favorite for the Kentucky Derby after not only winning the G2 Robert B. Lewis Stakes, but finishing second in both the G1 Santa Anita Derby and G2 San Felipe. Unfortunately, the handsome colt was sidelined by a minor injury and missed the Triple Crown races. Flashback returned as a 4-year-old, making five starts, winning once, finishing second twice and third once. That third-place finish was in the G3 Ack Ack Stakes at Churchill Downs. Flashback retired with a record of 11 starts, 3 wins, 5 second-place finishes, and one third-place finish, for total earnings of $635,730. Flashback entered stud in 2015 at Hill 'n' Dale Farms. His first crop are yearlings. We hope you enjoy this feature, and we would once again like to thank our friends at EquiSport Photos for the great video. This entry was posted in In The Stud and tagged Flashback, Horse Racing, in the stud, Kerx, tapit, thoroughbred by Paulick Report Staff. Bookmark the permalink.